WE'VE BEEN LUCKY THIS JANUARY, WITH BALMY 30 DEGREE DAYS AND LIGHT, BEAUTIFUL SNOWFALLS. HECK, WE'RE CLOSE TO BRINGING OUT THE PATIO FURNITURE! THOUGH, THE NOT-SO-POLAR-VORTEX WE'RE EXPERIENCING DOESN'T GIVE ANY BREAK TO OUR SKIN. LUCKILY OUR FRIENDS AT OLD MILL CANDLES JUST DROPPED OFF MORE BEESWAX BALM. 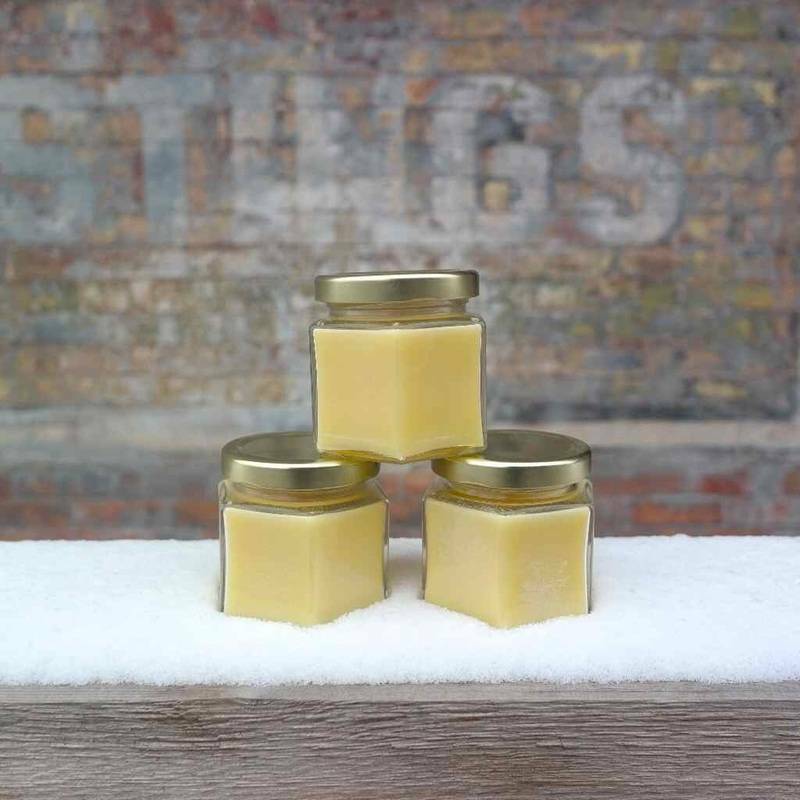 THIS CREAMY BALM IS A MIXTURE OF ORGANIC BEESWAX, COCONUT AND GRAPE SEED OILS. IT'S THE PERFECT REMEDY, EVEN ON THE BALMIEST OF JANUARY DAYS.